If there is no reported direct trauma or injury to the mid back, this type of symptom is usually caused by a spinal condition above or below the area in question. For example, if someone receives a blunt force to the mid back region, the cause would be obvious. 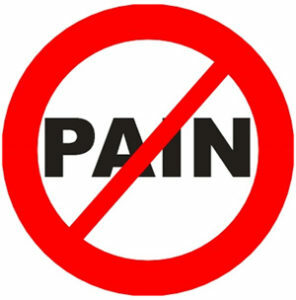 However, many patients enter the office not knowing what caused their pain. They just know that when they twist their back or move in certain directions, the region between their shoulder blades hurt. Upon examination it is very common to find a lower back misalignment, or in some cases, a lower neck misalignment that has helped cause the mid back pain. Remember, the spine works as a unit. In the majority of cases, patients will complain about neck or lower back pain specifically. However, mid back pain is a reality for some patients, and that situation can be addressed using chiropractic treatment. Another cause of mid back pain is rib involvement. Anatomically, the thoracic spine (middle back) attaches to the ribs. If a blunt force affects the ribs, even if the force occurred in the front part of the body, a mid back symptom may be felt because the muscles between the ribs were irritated. These muscles extend from the front part of the ribs to the area that attaches to the spine of the middle back. Sometimes this can occur when the patient has twisted and bent sideways while lifting or pushing something. Sometimes patients will remark that they have difficulty with full breaths. Treatment consists of gentle adjustments of the ribs and spine. Ice can be used to help reduce the swelling associated with this injury.